This book will allow you to take your KRMx02 to the next level. The workbook takes you step-by-step through the process of creating each component used to assemble the Dragon Cable. 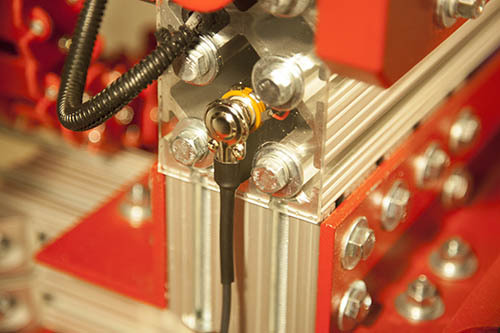 An Estop switch is the absolute first upgrade you must add to the KRMx02 CNC. The book takes you through the process of adding two. The gantry brace gives your CNC a finished look. It also adds to the overall rigidity of the machine. Adding homing switches will allow for quicker setup times. It will also allow you to keep the router within defined perimeter. The workbook will take you step-by-step through the process of building the switch mounts, installation, and configuration of Mach 3. The Xbox 360 controller will allow you to position and setup your machine much quicker. Many of the buttons perform short cuts such as homing the machine or starting a job. The depth probe is used to quickly with the press of a single button, zero your bit to the top of the work surface. The workbook take you step-by-step through the process of wiring, and configuring the probe. The workbook will show you to add a jack to your probe so it can be easily removed or swapped out. The workbook will show you how to connect a relay to your controller. This relay will allow you to turn your router on and off automatically when the job starts and stops.